News: the latest on the Sydney siege as a city mourns. Friday's news in under 5 minutes. 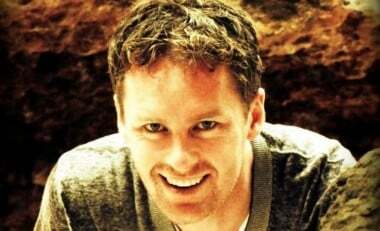 Tori Johnson’s partner has spoken of the horror events. The partner of Tori Johnson, Thomas Zinn, has spoken to TODAY’s Lisa Wilkinson just days after the tragic death of 34-year Tori in the Lindt Café siege. 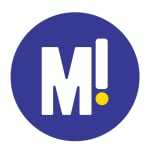 Tori Johnson was one of 17 people taken hostage by self-proclaimed ‘sheik’ Man Haron Monis in Sydney’s Martin Place on Monday, and one of two hostages to die. Former Prime Minister John Howard has said that comments made by NSW Liberal Democratic Party Senator David Leyonhjelm yesterday calling for relaxed gun laws were “a very simplistic and flawed analysis”. “The gun laws that were brought in in the wake of Port Arthur have made Australia a safe country and there’s very strong, properly based research evidence to the effect that gun-related homicides have fallen in this country,” Mr Howard told the ABC. The former Prime Minister said that Australians did not support more relaxed gun laws because they “understood that the fewer guns there are in the community, the fewer gun related deaths there will be”. NSW Attorney-General Brad Hazzard has ordered a review of the decision to grant bail to Amirah Droudis, Monis’s wife reports The Australian. Mr Hazzard said yesterday that he had had expressed “concern to the Director of Public Prosecutions” that Amirah Droudis was granted bail by a NSW Local Court after being charged with the murder of Monis’s ex-wife. 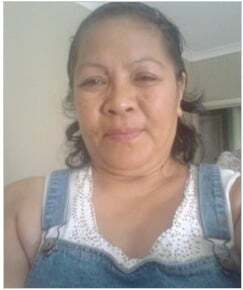 Mr Hazzard said: “The charges laid against Amirah Droudis are extremely serious and her alleged actions involve a murder. Reports that police did not rush in to the Lindt Café as they feared he had explosives in his bag.The 50-year-old convinced the hostages that his backpack, which had electrical wires trailing from it, contained explosives. It turned out, in the end, to be broken stereo parts. Counter terrorism experts told News Limited that while Monis was visible behind the human shield of hostages bullet fired through glass could have deflected and hit a hostage. CCTV released by the Seven Network shows Man Haron Monis stalking out the Lindt Café hours before the siege. The Australian reports that he was spotted sitting in the Lindt Café for an hour “as cool as a cucumber”. Pakistan lays flowers. The Consulate General of Pakistan laid flowers at the Martin Place memorial yesterday. He told News Limited “We highly condemn the act by a lunatic. A frustrated person who killed two innocent people and terrorised many others Mr Aziz also spoke of the heartbreak over the massacre of 131 school children in Pakistan by the Taliban. “It’s unthinkable and literally it moved our hearts like we are bleeding and our eyes are full of tears,” Mr Aziz said. Field of Flowers. 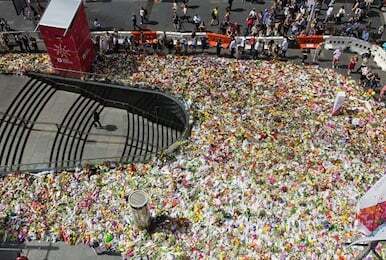 One the questions that authorities have to deal with is what to do with the field of flowers at Martin Place. News Limited report that NSW Premier Mike Baird said the flowers will be “clean composted” and put at a memorial site yet to be determined. 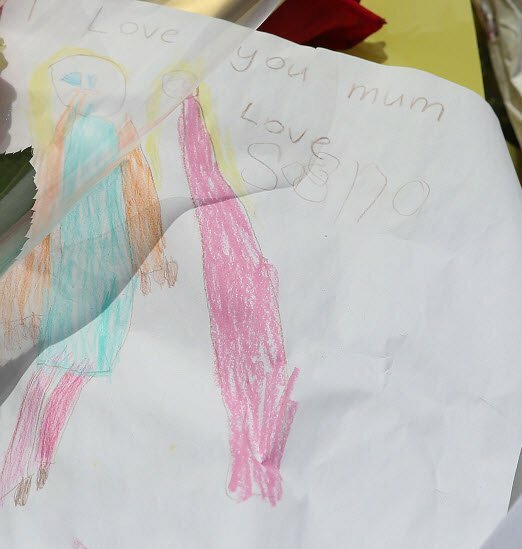 “The NSW Government is in contact with authorities in London and Boston regarding flowers, tributes notes and condolence books to ensure we are operating on prior international best practice.” He said. Victims to be buried by Christmas. The bodies of the siege victims Tori Johnson, 34, and barrister Katrina Dawson, 38, were released to their families last night. 3. Sony hacking a national security risk. The Sony hack that forced the cancellation of the film “The Interview” about the assassination of North Korean leader Kim Jong Un is being treated as a national security matter in the US the White House has said overnight. The cyber attack on Sony Pictures has been blamed on North Korea according to CNN. Hackers threatened to launch terrorist attacks on cinemas that showed the film. US officials also said that the National Security Council is now considering a “proportionate response” to the hack. A 51-year old mother from Sydney will face court in Kuala Lumpur today accused of trafficking offences after allegedly being caught carrying 1.5kg of crystal meth into Malaysia. If convicted Maria Elvira Pinto Exposto will face a mandatory death sentence. Her lawyers say she is “naive and innocent mule” who was deceived. Suspected Boko Haram gunmen have kidnapped almost 200 people, including women and children during a raid on Nigeria’s north-east, security officials and residents say. The attack was believed to have occurred in the remote village of Gumsuri on Sunday. News of the abduction took four days to emerge because the mobile phone network in the region has completely collapsed and many roads are impassable. Two officials, who requested anonymity, said the local government had established that at least 185 people were abducted and 32 people killed, through contacting families, ward heads and emirs. A vigilante leader based in the Borno state capital Maiduguri, Usman Kakani, told AFP news agency that fighters who were in Gumsuri during the attack provided a figure of 191 abducted, including women, girls and boys. Mukhtar Buba, a Gumsuri resident who fled the mass abduction, confirmed that women and children were taken. “After killing our youths, the insurgents have taken away our wives and daughters,” he said. Although no-one has claimed responsibility yet, the attack bore the hallmarks of Boko Haram, which in a similar assault abducted more than 200 women in April from a secondary school in Chibok, very near this latest attack on the Cameroon border. A public servant who received a Kris Kringle pranks which caused him to leave his job has spoken of how workers should be mindful of how things can affect others. 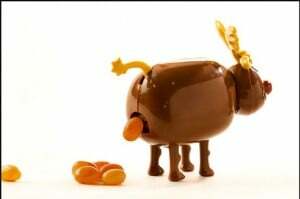 Mr Ngoc was working as an economic modeller for the Finance Department when he was given a plastic reindeer that let out “Reindeer poo”. “When you press its tail it gives you a chocolate dropping, and a play dough with handwritten words ‘Luan’s modelling kit’,” the economist told The Canberra Times. 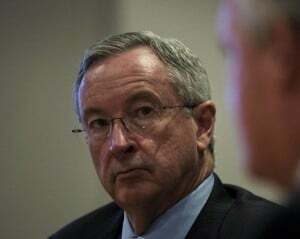 “I was shocked and very upset. “That really spoiled the joy of the division’s Christmas lunch so I quit halfway through it. “Now, 2014 Christmas is coming and … I still cannot escape from the sad feelings that Secret Santa forced on me two years ago,” Mr Ngoc said. He said his experience should act as a warning to public servants and other office workers that “harmless pranks” can have long-lasting effects on colleagues’ feelings and even their careers. The life of Stella celebrated. The life of Stella Young will be celebrated today with a public memorial service at Melbourne Town Hall beginning at 11am AEDT. The event will be broadcast on ABC radio and shown on television on ABC News 24. 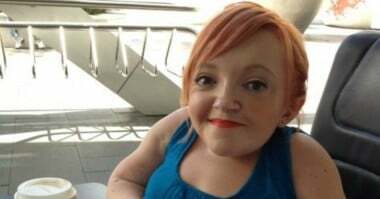 Stella Young died unexpectedly on December 6, aged 32. For more on the life of Stella read this post here. The European Union’s highest court has ruled that obesity can be considered a “disability” if it hinders the overweight person’s performance at work. The employee, Karsten Kaltoft, filed a suit to obtain damages and interests from the municipality of Billund who employed him as a child minder, claiming he was the victim of discrimination. The EU court ruled that “no general principle of EU law prohibits, in itself, the discrimination on grounds of obesity”. But it said the “condition falls within the concept of ‘disability’ where… it hinders the full and effective participation of the person concerned in professional life on an equal basis with other workers”. The EU court said it is up to the Danish court to “determine whether Kaltoft’s obesity falls within the definition of disability”. According to statistics from the World Health Organisation, based on 2008 estimates, roughly 23 per cent of European women and 20 per cent of European men were obese. 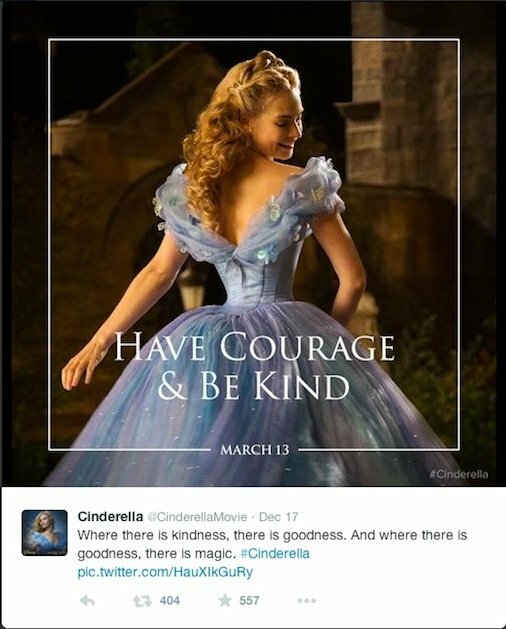 Disney’s promotion for their upcoming movie Cinderella is receiving widespread criticism after a Tweet yesterday depicted Cinderella photoshopped to the max. Twitter users complained that Disney was once again depicting its characters unrealistically. “Good to see ‪#Disney keeping up tradition with ridiculous disproportionate body size” Tweeted one. The UK has created some draft rules for creating babies from three people which will mean the identity of the second mother will be kept secret as the genetic contribution from the second mother would be tiny just 0.1 per cent. In practice it means that only the most severely affected women – perhaps 10 cases per year – would go ahead. An elderly couple in New Zealand were trapped in their car for 13 hours as they believed that the remote control device for keyless entry was the only way to unlock the car – and they did not have the device with them. For 13 hours Mollieanne and Brian Smith were stuck in the vehicle, sounding the Mazda 3 car horn and attempting to smash the windows with a car jack. The car was in their garage of their home In Alexandra, on the South Island. A neighbour finally released the couple – but only after Mrs Smith had fallen unconscious due to lack of oxygen. It was only after they were released did they find out that the car was simple to open from the inside manually and all they needed to do was use the manual lock on the inside door handle. 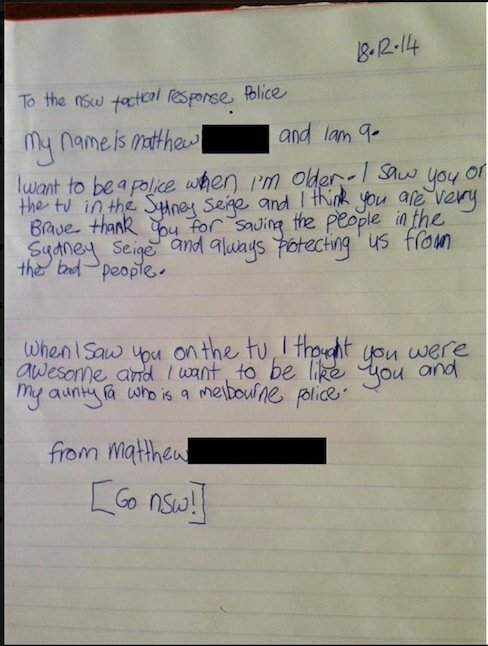 NSW Police have said they were touched to receive a letter from a 9-year old boy who praised their efforts during the Sydney siege. Former Prime Minister Julia Gillard is set to join the Board of the national initiative to raise awareness of anxiety and depression, BeyondBlue, as a Director. Ms Gillard will attend her first BeyongBlue Board meeting in February next year. The initiative’s Chairman, Jeff Kennett, said this week: “We are particularly honoured that Julia Gillard has seen fit to join our organisation as we continue to serve those in the community suffering depression and anxiety and who are at risk of suicide. “Julia Gillard has always been a kindred soul of our work. Ms Gillard said: “As the daughter of a psychiatric nurse, I have always understood the need to talk openly about mental health and respond to those in need. In government, I was proud to extend services to help and treat young people battling depression and other conditions.